The Mavericks have admirably reinvented themselves every two years since they won the NBA championship in 2011, but they’re always gambling a lot on high profile free agents and this year, it seems like their luck turned out. They lost DeAndre Jordan to the Clippers due to a last second change of heart you usually only see in romantic movies and signed Wesley Matthews who might never be the same after suffering a devastating, season ending injury. It’s all going to be OK because: JAVAAAAALLLLLEEE MCGEEEEEEEEEE!!!!!!!!!!!!!!!! That’s right. After losing DeAndre, Mark Cuban pulled a rabbit out of his hat and signed the wildest, most unpredictable and entertaining player in the NBA. 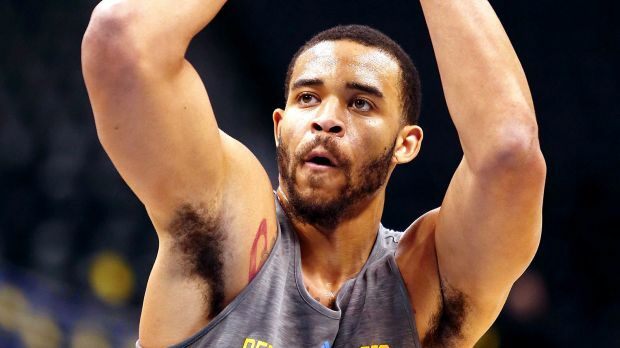 I am not sure how JaVale is going to fit in Rick Carlisle’s offense, but he is the only center they have with the physical capability of running it, so we’re going to see a lot of him and I am SO tuning in to Dallas’ games this year. It’s going to be awesome. The Mavericks are missing the playoffs this year and MAYBE they will nab a top 10 pick, but they got JAVALE MCGEEEEE so everything’s fin.